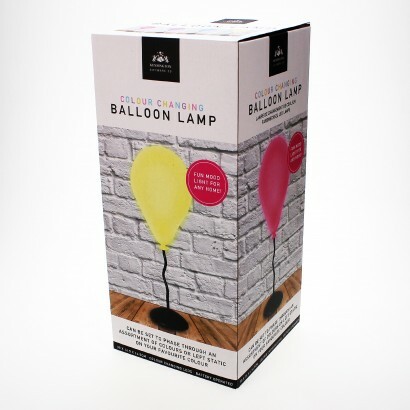 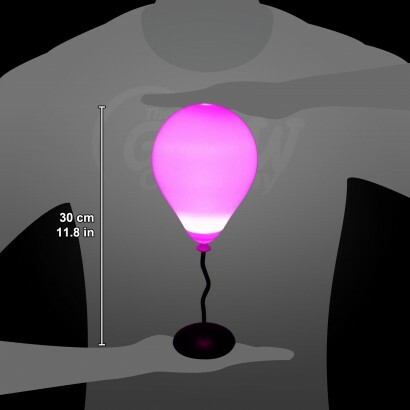 Add a splash of colour and fun to desk tops and rooms around your home with a playful balloon mood light. 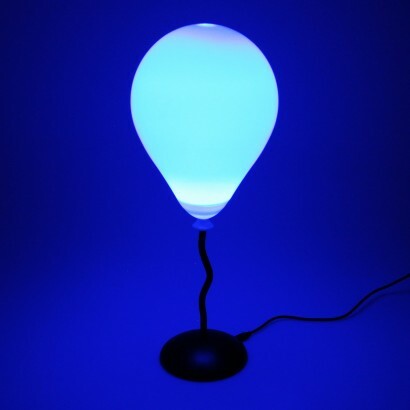 Lit with colour change LEDs, this whimsical lamp gently phases through a soothing colour change or can be set to hold on your favourite colour adding character and relaxing light to your home. Battery operated (batteries not included), the balloon string becomes the stand of the lamp to give a playful floating effect whilst shining with a colourful glow.